Award-winning actress Fasha Sandha is the new ambassador for Brand's InnerShine Series. 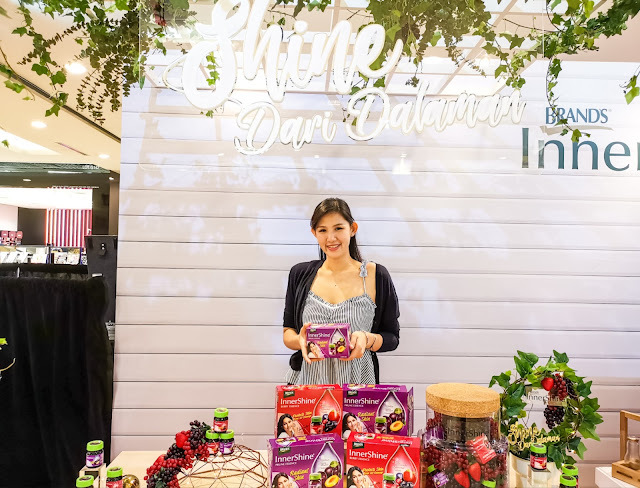 The announcement earlier this month at the BRAND'S® InnerShine® roadshow in One Utama Shopping Mall. 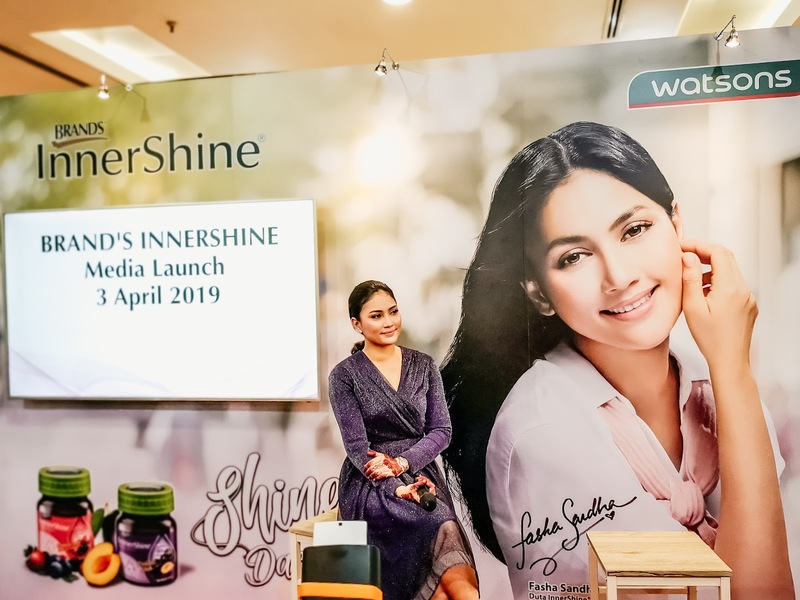 During the event, Brands Suntory also announced its sponsorship of the 14-episode mega drama series Patah Sayap Bertongkat Paruh starring Fasha Sandha as well as a continuous collaboration with Watsons for the Pencarian Wajah #innershine Cantik Semula Jadi contest. 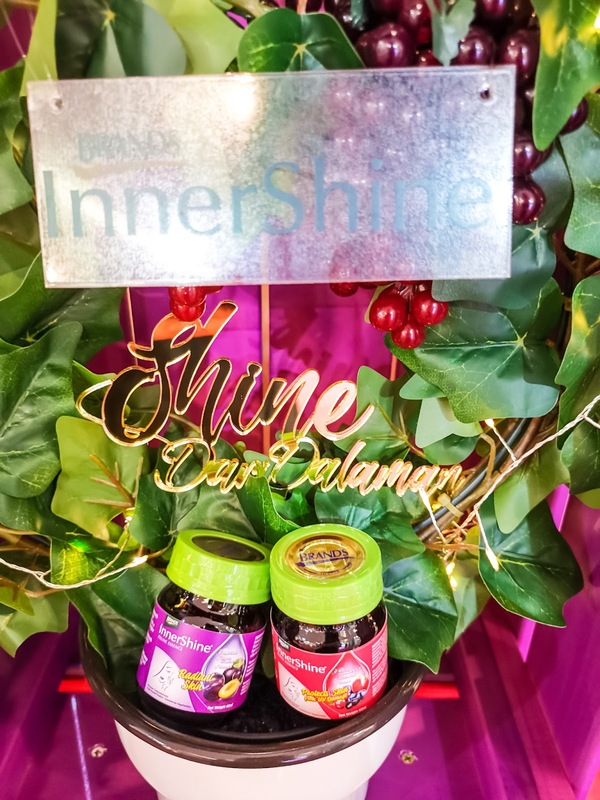 BRANDS InnerShine® series compromising InnerShine® Prune Essence and InnerShine® Berry Essence the benefits will help you achieve a holistic beauty regime that enables your skin to become radiant and have a natural glow. InnerShine® Prune Essence works on your digestive system to cleanse your body internally with visible external effects can be seen within 12days. The prune essence and Vitamin E combination boots the protection of your skin from free radicals to keep it healthier and more radiant. This 100% fruit based nutritional supplement is also rich in prune fiber and resistant maltodextrin - a soluble fiber that promotes regular bowel movement and helps flush out unwanted toxins from the body. InnerShine® Berry Essence is packed with Vitamin A, C, E, and Zinc, with Vitamin C and Vitamin E helping to protect cells from oxidative stress. In addition, the essence also contains nutrients from 7 premium berries - blueberries, blackcurrants, cranberries, chokeberries, strawberries, acai berries, and elderberries, which are high in antioxidants that'll help protect your skin from UV damage and the holistic effect of the nutrients gives your skin the glow from within and keeping you youthful over time. 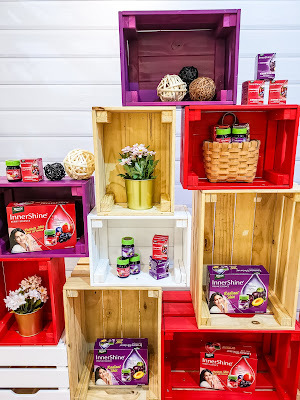 InnerShine® returns with the Pencarian Wajah #InnerShine® CantikSemulaJadi2019 contest, running from 5th March to 14th April 2019, in an exclusive collaboration with Watsons. 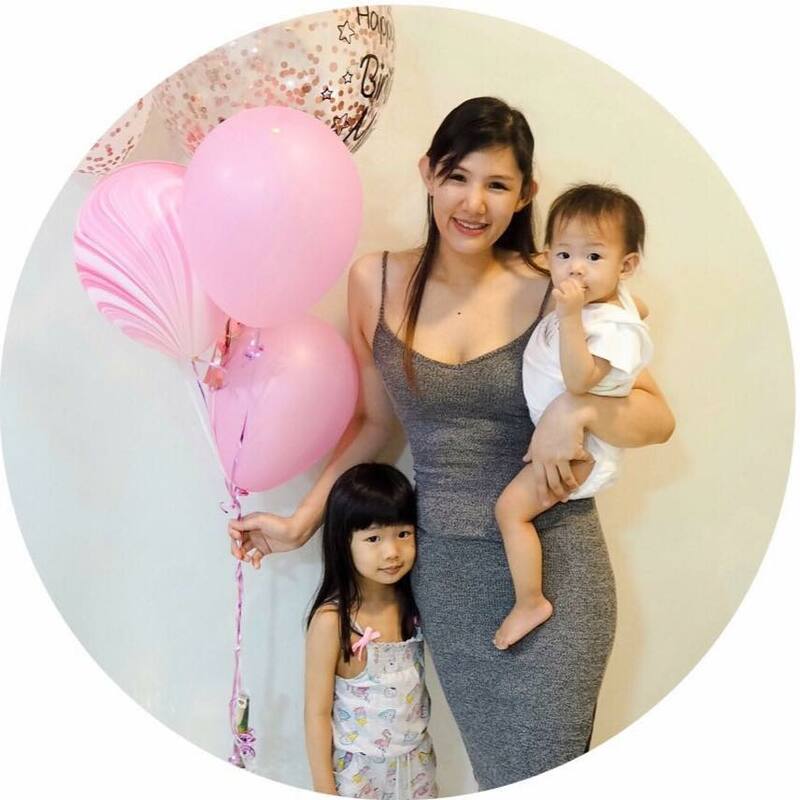 In this contest, 30 Watsons customers stand a chance to win RM300 cash and RM100 worth of InnerShine® products, with 5 winnners announced on each of the 6 weeks via Facebook and Instagram.